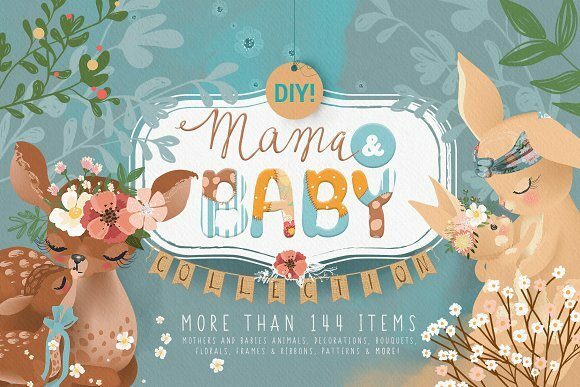 Mama & Baby – Collection of sweet graphics – cute animals and rustic design elements. 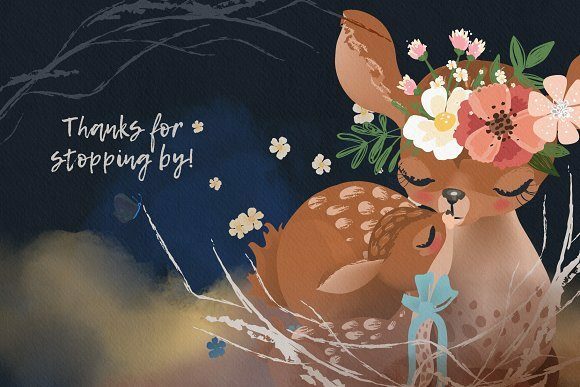 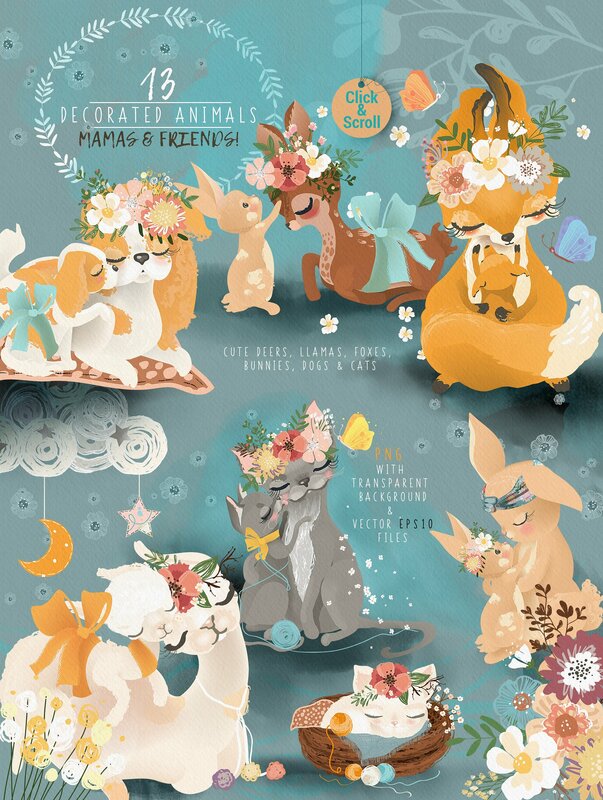 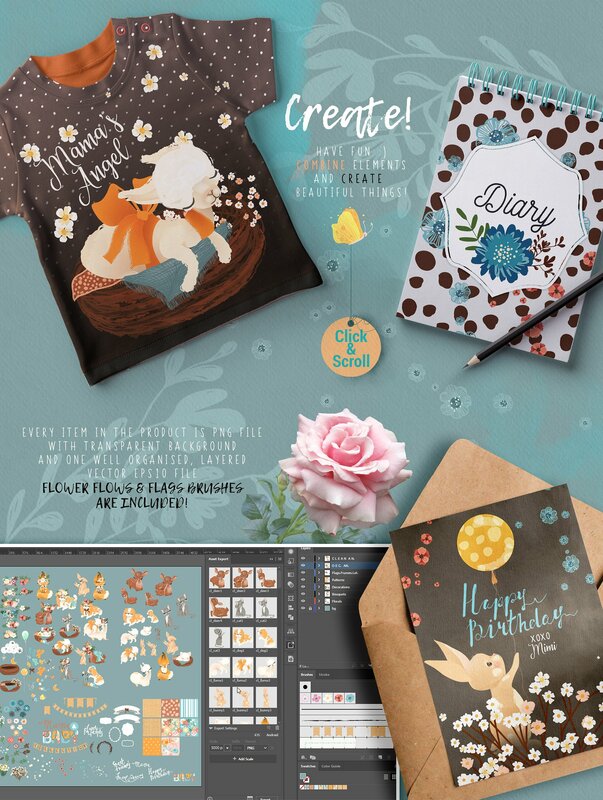 In this collection you will find an adorable animal mama with babies and their friends, as well as many decorative and floral items. 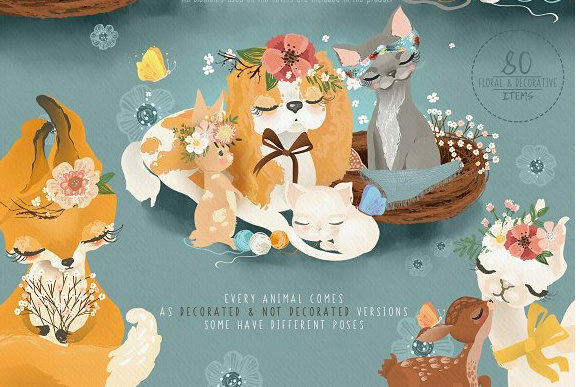 Every animal comes with and without decor. 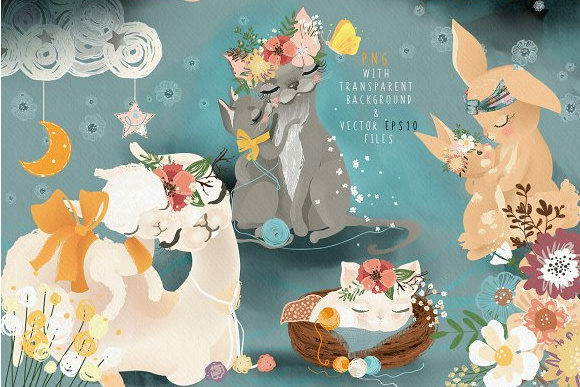 Each png file has a transparent background. 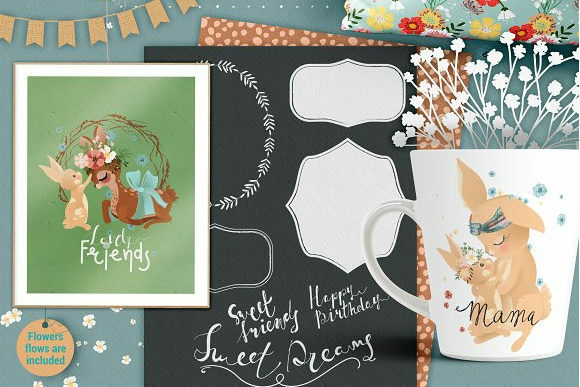 Have fun to decorate them in your taste, tons of combinations with included frames, patterns and florals. 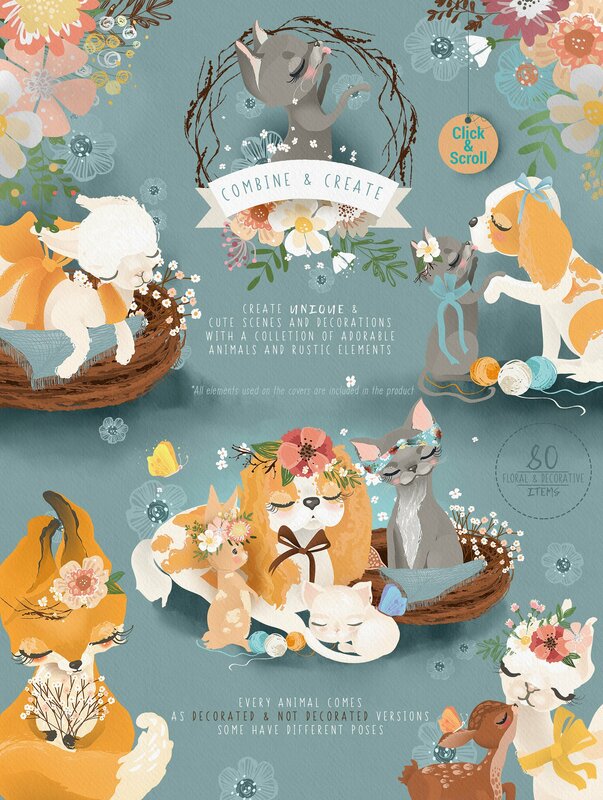 Combine elements & create beautiful things! 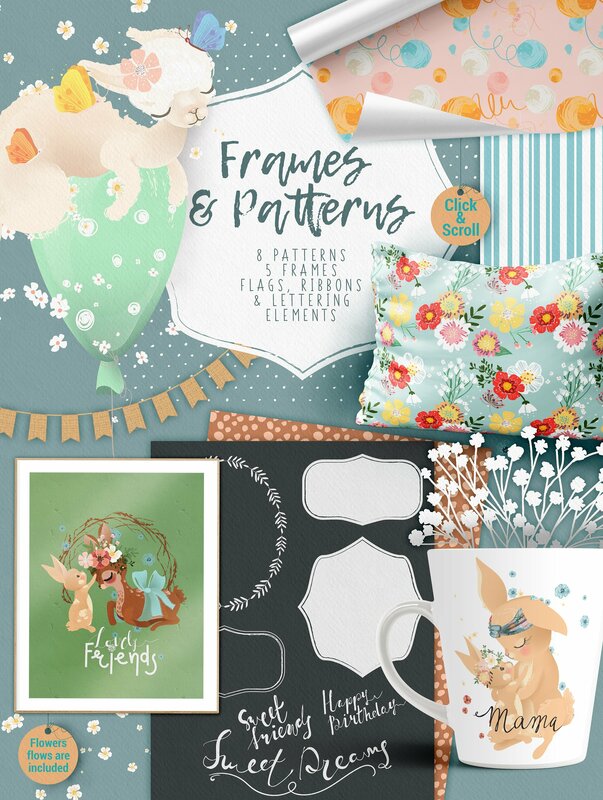 All the items can be edited – colors, shapes etc. 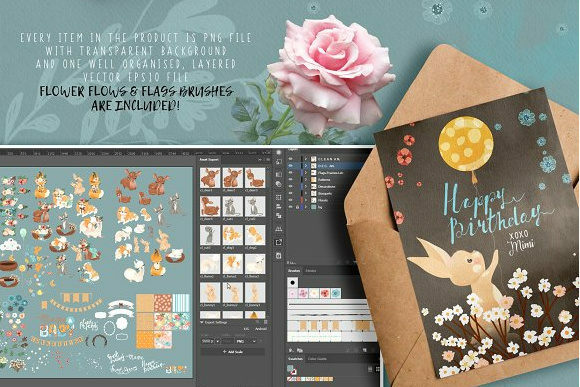 Very well organised vector EPS10 file with floral flows & flags burhes is included.